1. According to World Bank's Global Economic Prospects (GEP) report India with an expected growth rate of 7.5 percent this year is set to surpass China and for the first time is leading the World Bank's growth chart of major economies. China is projected to grow at 7.1 percent this year. Developing countries are now projected to grow by 4.4 per cent this year, with a likely rise to 5.2 per cent in 2016, and 5.4 per cent in 2017. The World Bank predicted that the global economy would expand 2.8 percent this year, below its 3 percent outlook in January. 2. Indian one day cricket team's captain Mahendra Singh Dhoni is among Forbes magazine's 100 highest-paid athletes in the world, the only Indian sportsman on the list that has been topped again by American boxer Floyd Mayweather and includes golfer Tiger Woods, tennis star Roger Federer and Portuguese soccer player Cristiano Ronaldo. Dhoni has been ranked 23rd on the Forbes list of The World's Highest-Paid Athletes 2015, dropping a notch from his ranking of 22 last year. Dhoni's total earnings stood at USD 31 million, including amount from salary/winnings at USD 4 million and endorsements worth USD 27 million. 3. African countries have signed a historic The Tripartite Free Trade Area (TFTA) deal that facilitates creation of Africa’s largest free-trade zone. This free-trade zone will cover 26 countries in an area from southernmost tip of African continent i.e. Cape Town (South Africa) to Cairo (Egypt) in the north. The pact was signed in Egypt will intent to ease the movement of goods across 26 member countries which represent more than half the continent’s GDP. 4. Pakistan and China signed an agreement for construction of six patrol vessels for the Pakistan Maritime Security Agency (PMSA). The agreement was signed during a ceremony at the ministry of defence production (MoDP) in Rawalpindi. The documents were signed by China Ship Trading Company (CSTC) and the Pakistani government on behalf of MoDP. According to the agreement, four ships would be constructed in China while the remaining two would be built at Karachi's Shipyard and Engineering Works under transfer of technology. 5. Delhi Jal Board (DJB) vice-chairman Kapil Mishra was named as the Delhi government’s new law minister replacing Jitender Singh Tomar who had resigned from the post following his arrest on charge of possessing fake degrees. 6. To promote safe, economical and environmentally sound road transport between Bangladesh, Bhutan, India and Nepal (BBIN), the government approved the signing of a motor vehicles agreement with these countries. The approval was given at a union cabinet meeting chaired by Prime Minister Narendra Modi. The agreement is aimed at regulation of passenger, personal and cargo vehicular traffic amongst the four nations. It would be signed on June 15 at the BBIN transport minister's meeting in Thimpu, Bhutan. 7. 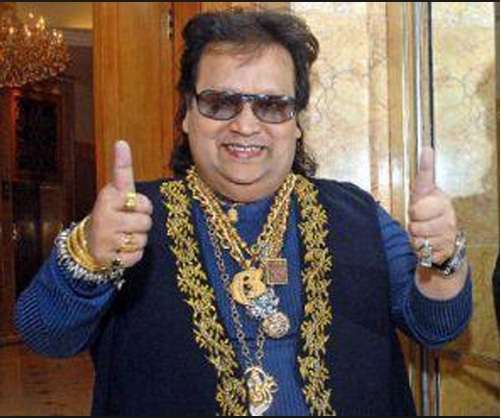 Singer-composer Bappi Lahiri will be conferred the Lifetime Achievement Award at the San Francisco Global Movie Fest. He is being awarded for his contribution to the Indian cinema. The event is scheduled to be held from August 07-14 in San Francisco, California. 8. Kochi Metro Rail Limited (KMRL) has broken new ground to gain substantially from the Automated Fare Collection (AFC) system by roping in a private partner to make necessary investments in hardware and software for sale of tickets besides getting assured annual royalty and a share in the business returns of the partner. Axis Bank will install the required complex hardware and software for fare collection from passengers and in addition will pay KMRL Rs. 208 cr over the next 10 years besides undertaking the entire maintenance of AFC for ten years. 9. Dr. Srivari Chandrasekhar has been appointed Director of CSIR-Indian Institute of Chemical Technology (IICT) a premier research institute of Union Government based in Hyderabad, Telangana. He was appointed to the top post by Prime Minister Narendra Modi who is ex-officio Chairman of Council of Scientific and Industrial Research (CSIR) functioning under Union Ministry of Science and Technology. Dr. Chandrasekhar had joined IICT as a Junior Research Fellow in 1986. He was promoted to the level of Chief Scientist in 2010. Since 2010 he is leading Natural Products Chemistry, one of the largest groups at the IICT. 10. Indian universities continue to lag way behind other institutes in a latest ranking of Asian universities that is dominated by universities from Japan, Singapore, Hong Kong, and China. According to the Times Higher Education Asia University Ranking 2015, Indian Institute of Science, Bangalore comes closest at 37th place and Punjab University at 38th position, down six places from last year.